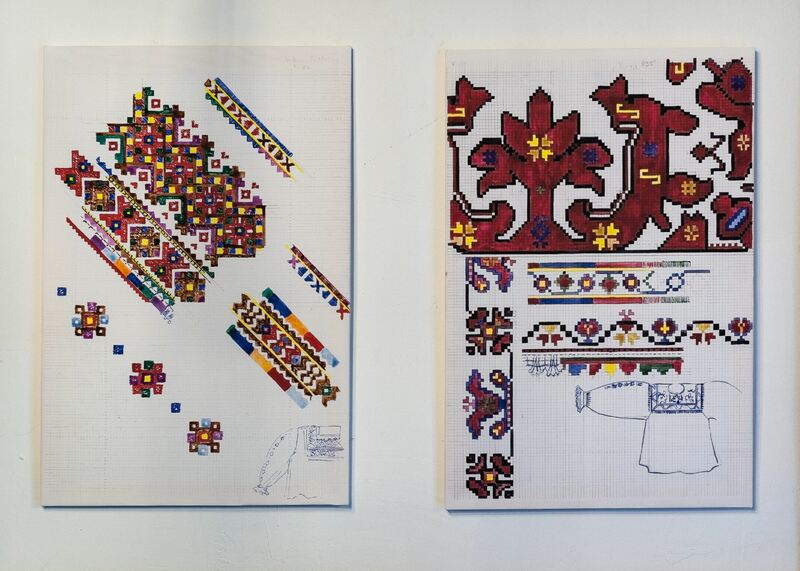 On 29 June 2018, in Uzhhorod cafe “Fanka”, it was opened an exhibition of Olha Hal and Anastasiia Moshkola under the title “The Philosophy of Ornament”. The creative tandem of the artists within the space of the cafe reveals the unequal sound of the ornament. 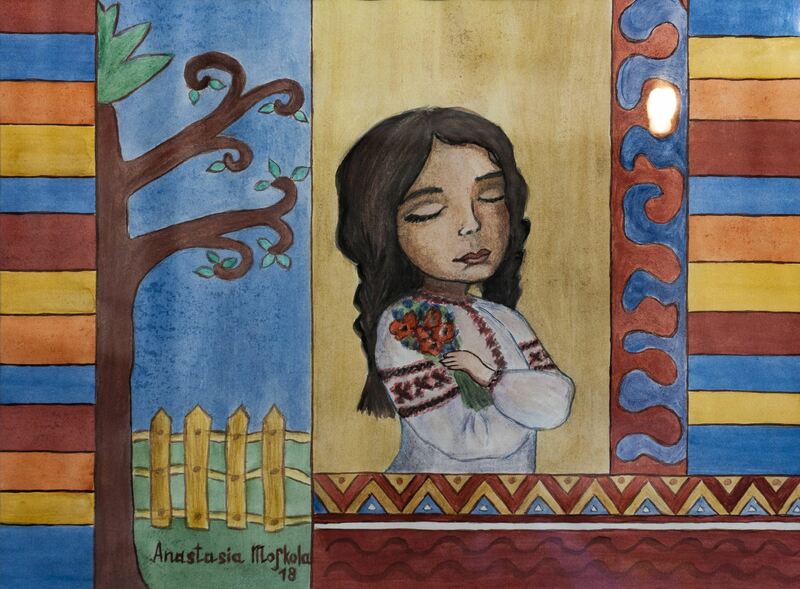 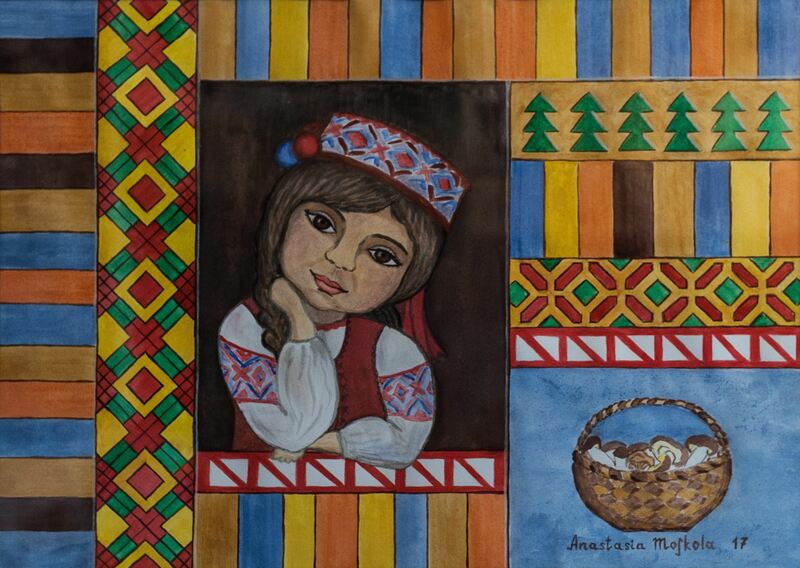 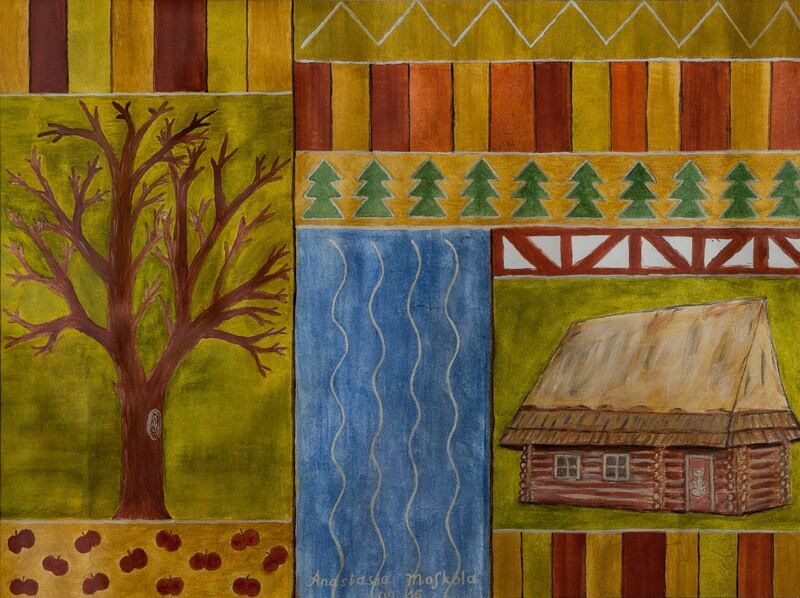 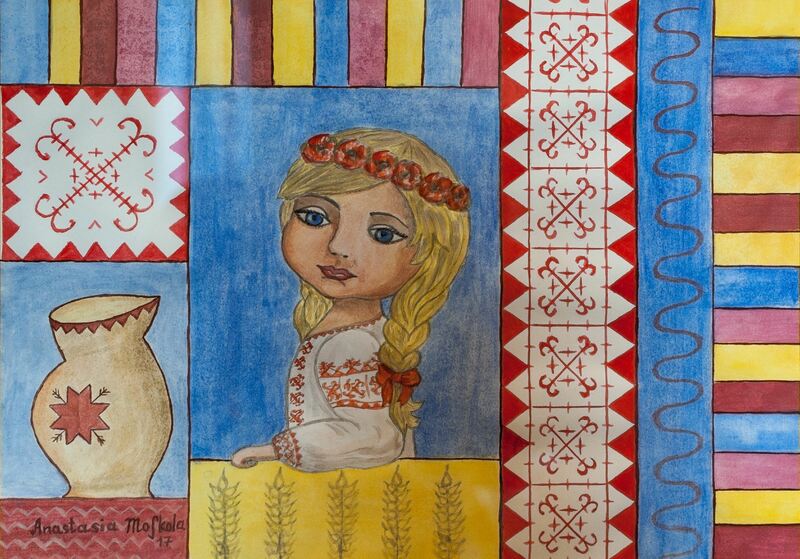 A young artist from Uzhhorod Anastasiia Moshkola sought to convey her interest in the diversity of the folk's culture through her presented series of works “Ukrainian Girls”. 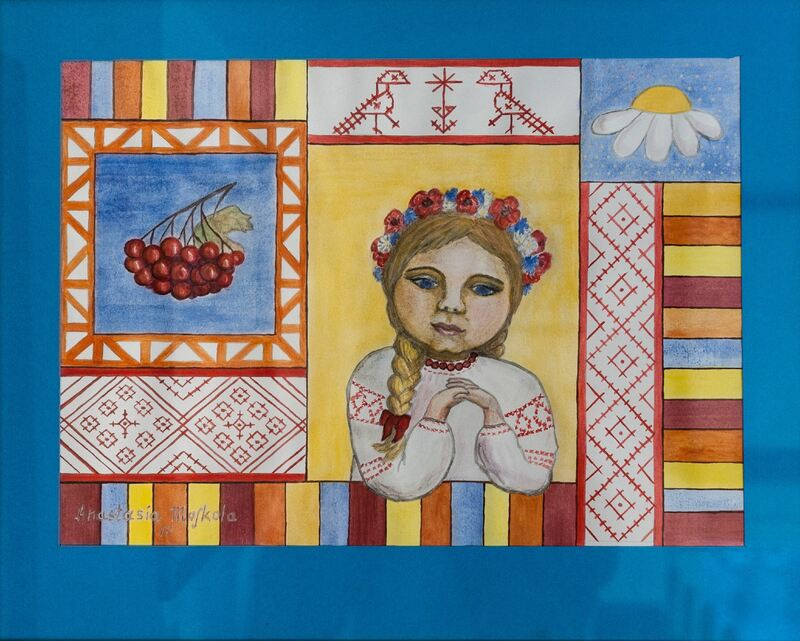 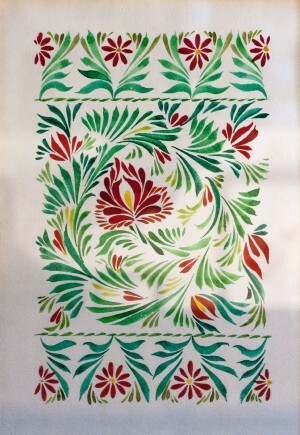 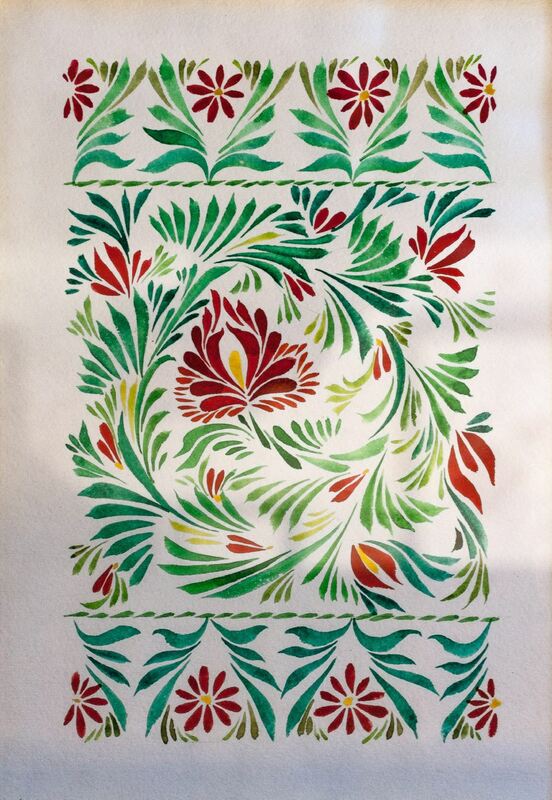 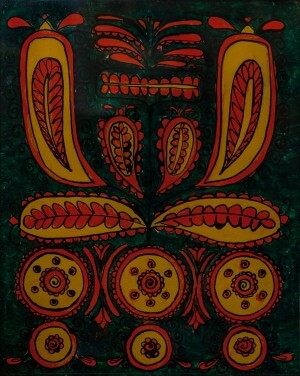 Ukrainian women from different parts of the country are depicted in the framed ornaments peculiar to a certain region. 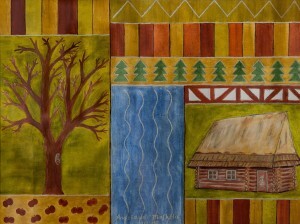 And, by adding the ornaments of the landscapes “Autumn in the Carpathians”, “Synevyr Lake”, “Old Uzhhorod”, the author strived to enhance the transferring of the image. 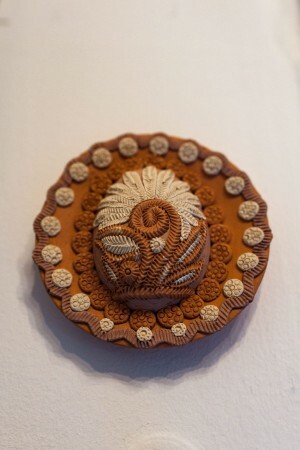 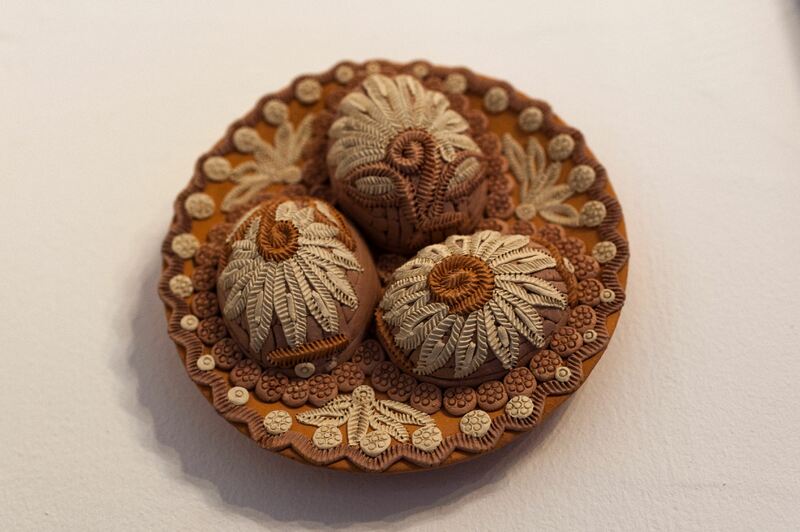 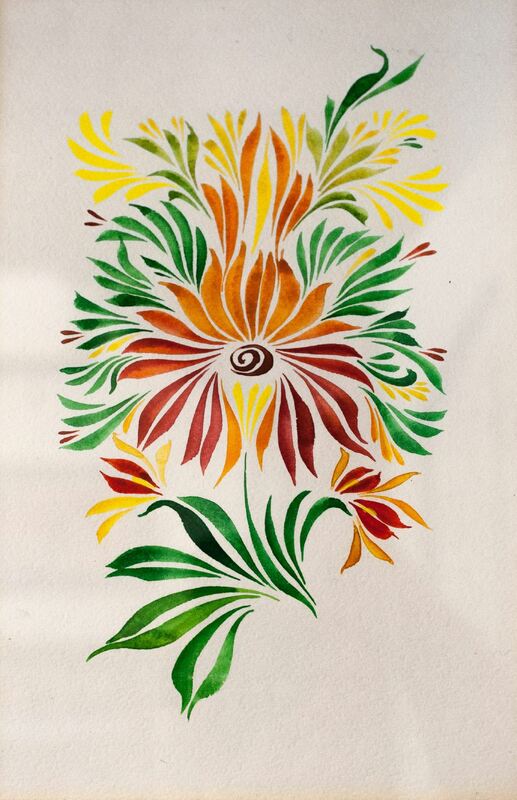 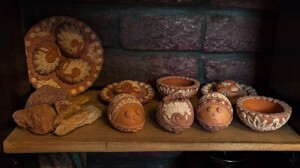 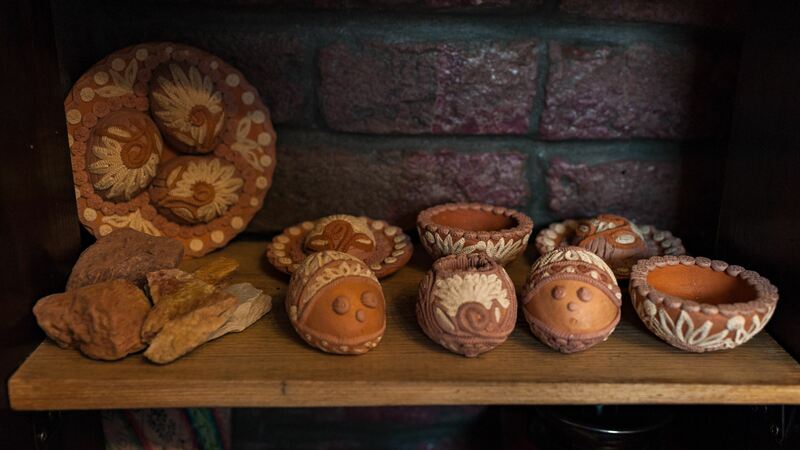 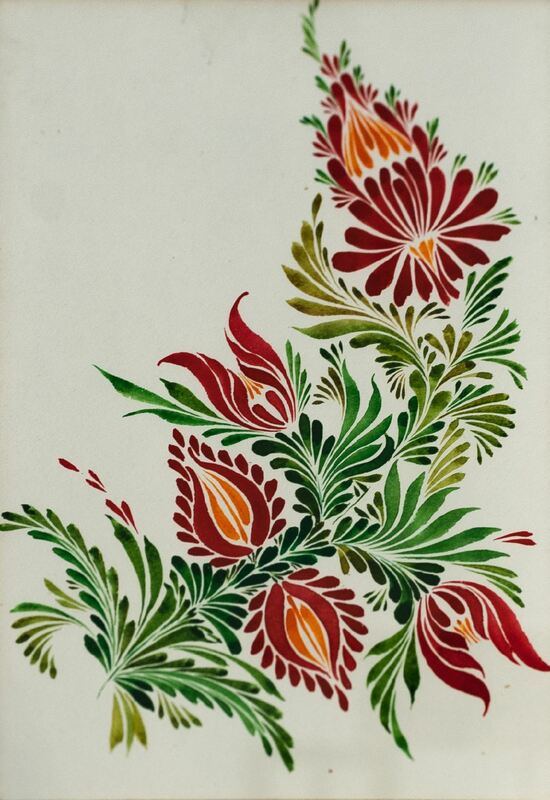 A versatile interpretation of the ornament language can be also seen in the works of the famous Transcarpathian artist, ceramists, researcher of folk art Olha Hal. 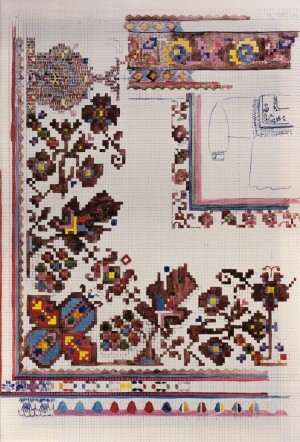 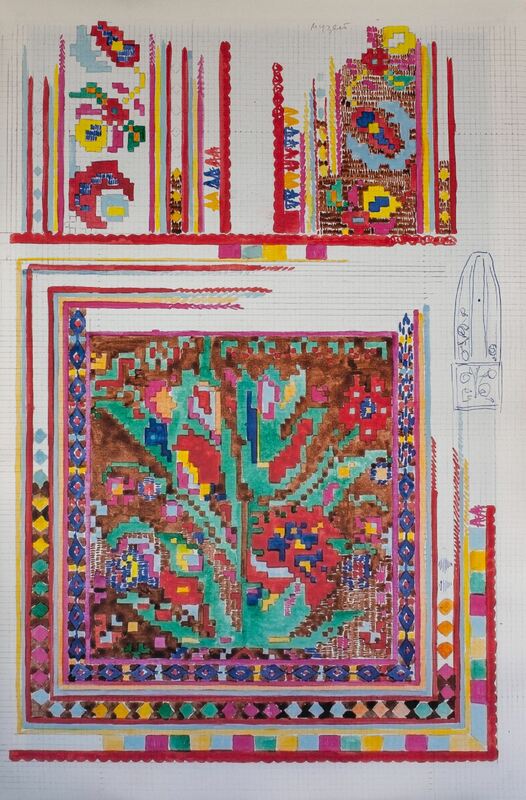 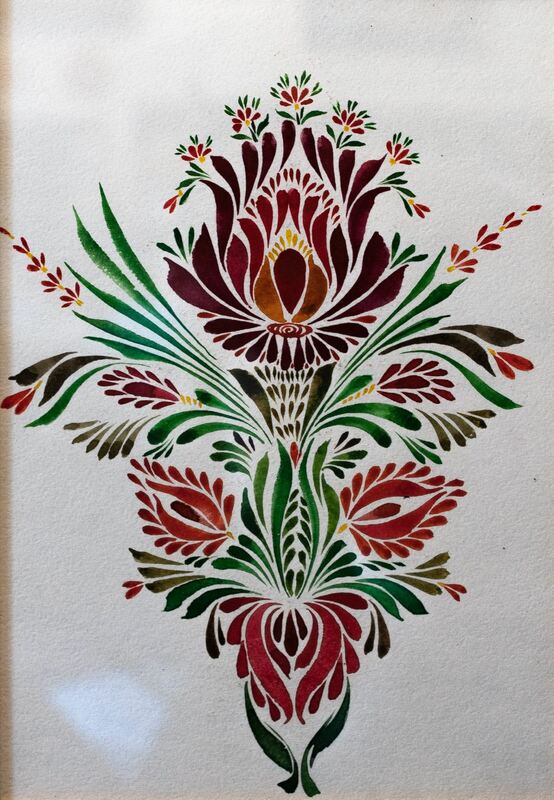 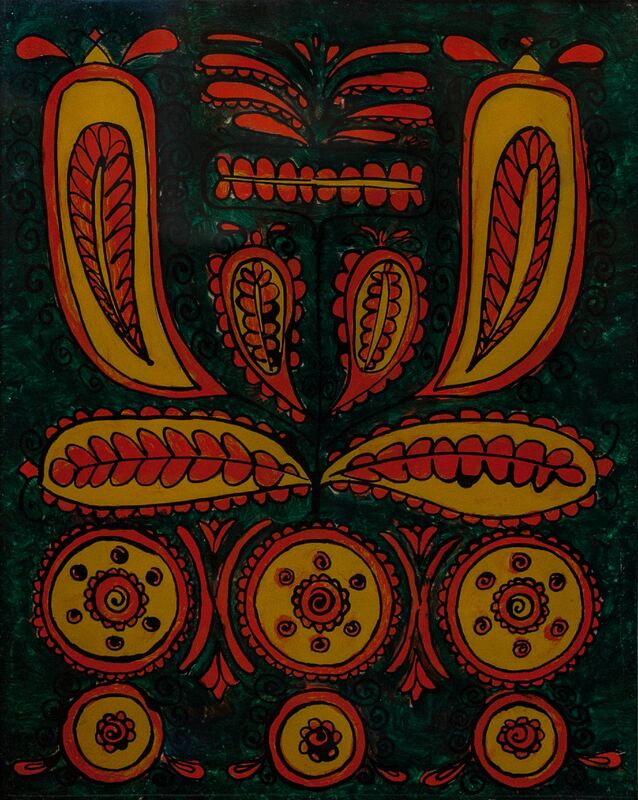 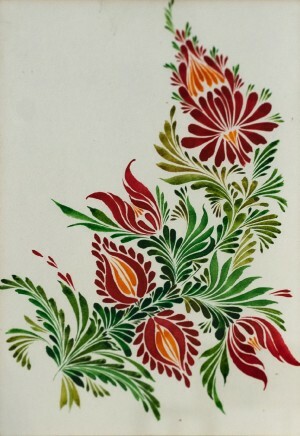 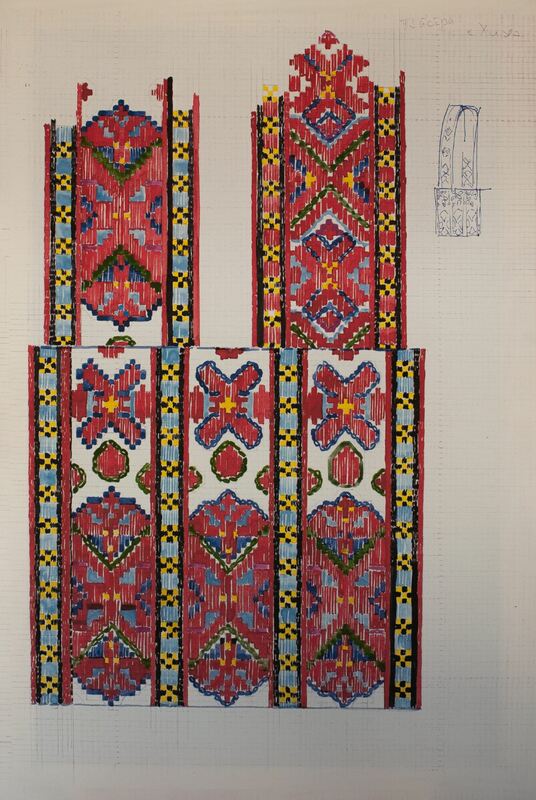 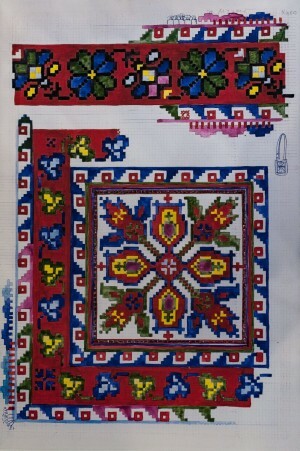 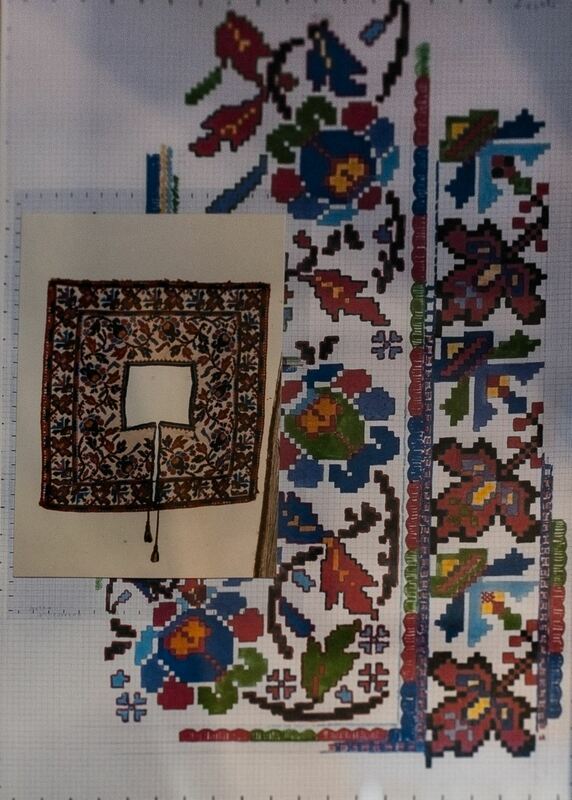 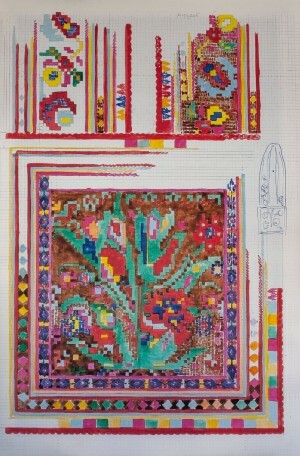 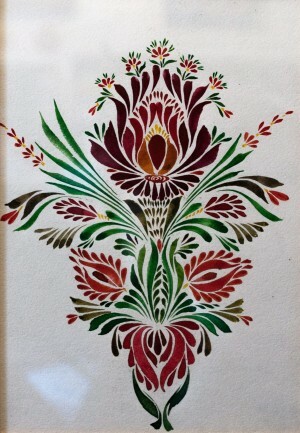 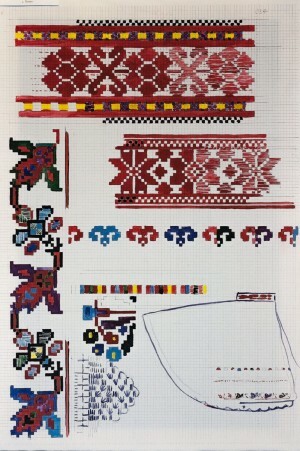 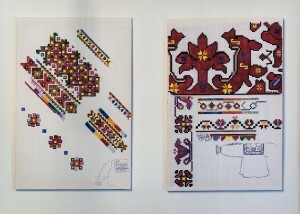 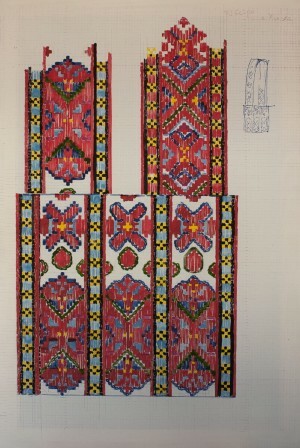 The exhibition presents about ten patterns of traditional folk ornaments from Khyzha village of Vynohradiv district from the author's collection. 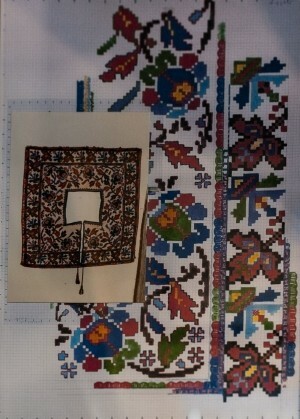 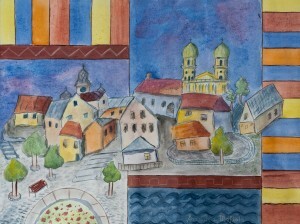 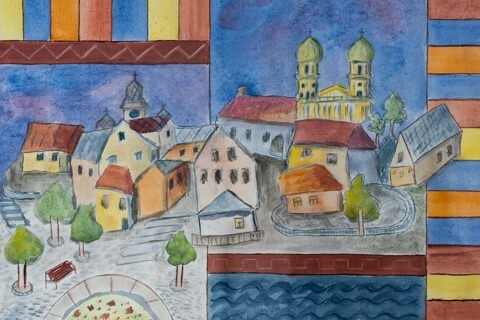 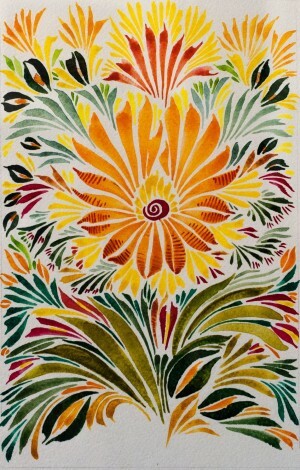 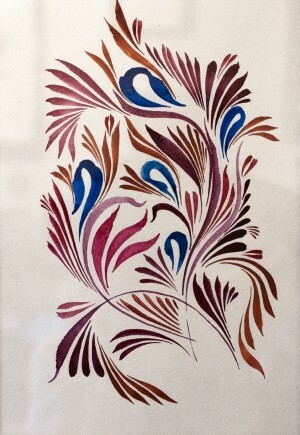 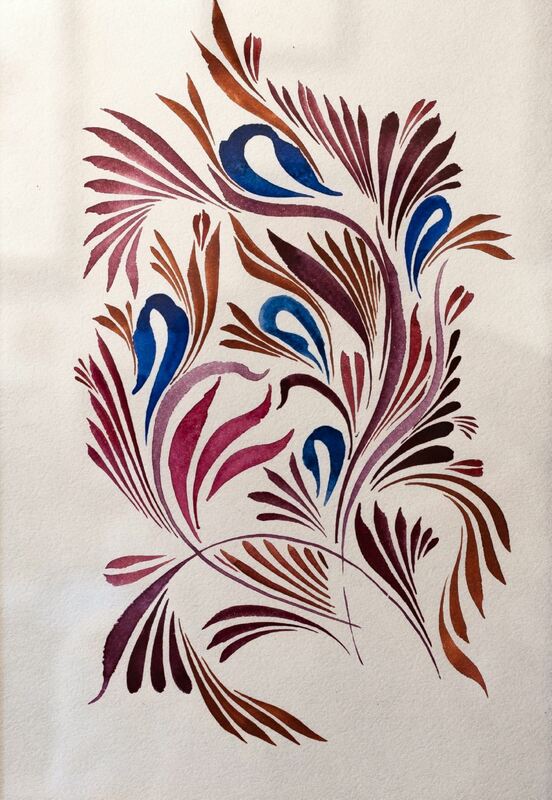 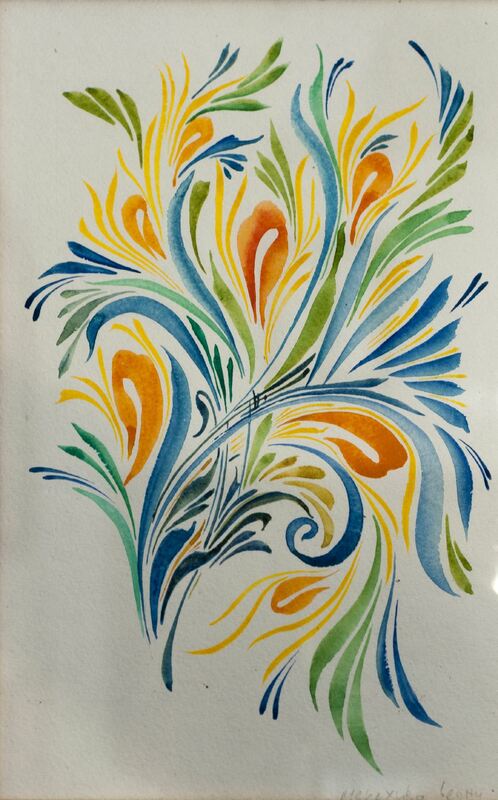 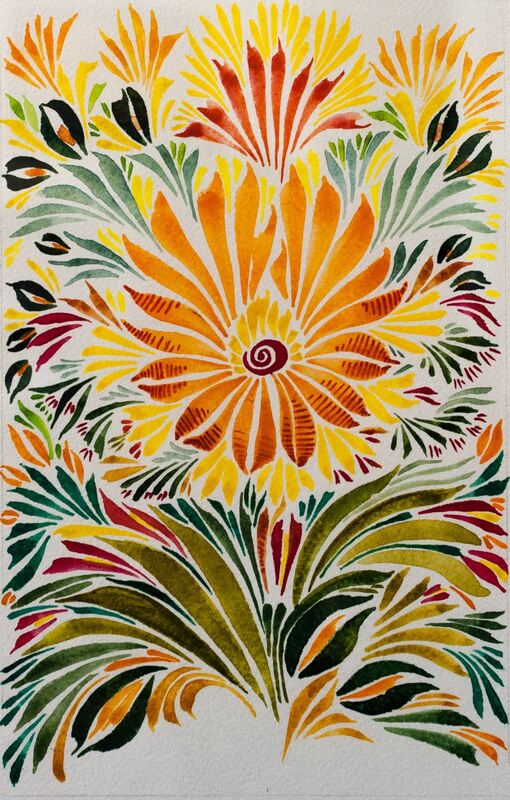 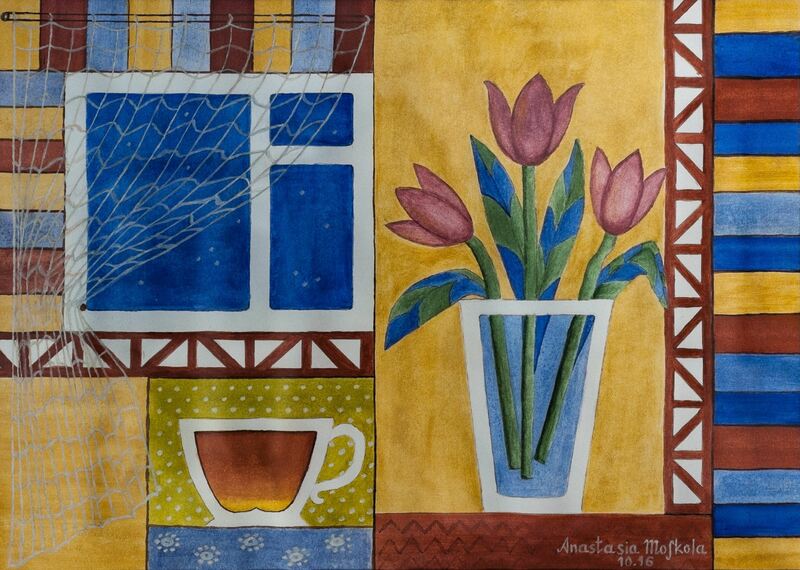 Her search for a new sound of ethnic ornament the artist presented in the watercolour interpretation of the ornamental motifs and pottery. 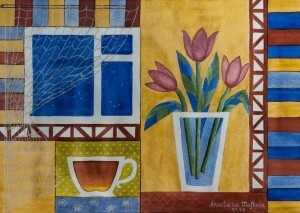 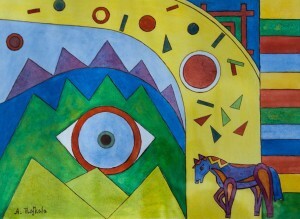 The exhibition will last in art café for a month.